Kensington Publishing Corporation, 9780758254238, 436pp. Nothing is fair in love and war. . .
Europe's elite have gathered at the glittering Congress of Vienna--princes, ambassadors, the Russian tsar--all negotiating the fate of the continent by day and pursuing pleasure by night. 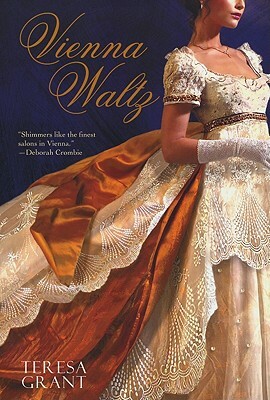 Until Princess Tatiana, the most beautiful and talked about woman in Vienna, is found murdered during an ill-timed rendezvous with three of her most powerful conquests. . .
Suzanne Rannoch has tried to ignore rumors that her new husband, Malcolm, has also been tempted by Tatiana. As a protege of France's Prince Talleyrand and attache for Britain's Lord Castlereagh, Malcolm sets out to investigate the murder and must enlist Suzanne's special skills and knowledge if he is to succeed. As a complex dance between husband and wife in the search for the truth ensues, no one's secrets are safe, and the future of Europe may hang in the balance. . .
"Shimmers like the finest salons in Vienna." --Deborah Crombie.